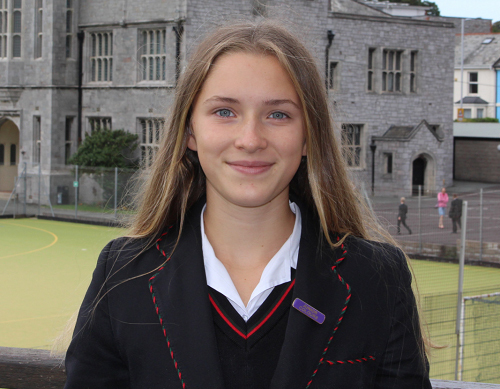 PLYMOUTH College pentathlete Annabel Denton will go into her first international event of the year on a high after winning the latest National Youth Ranking Competition at Hartpury College at the weekend. Denton edged out Ashford’s Emma Whitaker, Yorkshire’s Charlotte Hicks and fellow Plymouth College pupil Georgina Mitchell to take victory in Gloucestershire. The 15-year-old, who competed at the Youth Olympic Games in Buenos Aries last October, took the win thanks to an impressive combined run-shoot. Denton had recorded the fifth fastest swim with 2:18.62 minutes, had finished third in the fencing with 19 victories but no-one could come close to her in the combined discipline. Mitchell had led after the swimming and fencing. She recorded the quickest swim with a time of 2:14.66 and recorded the highest number of victories in the fencing hall, 21, but got edged out of a medal in the combined event. Denton will be part of a team of 12 Great Britain pentathletes that will head out to the European Cup in Leiria in Portugal in April for the first international youth competition of 2019. She will compete in the under-19 competition, which takes place over the weekend of April 13 and 14. Meanwhile, in the boys’ event at Hartpury at the weekend, Plymouth College’s Frazer Oliver finished 10th.